I'm a big fan of the idea that there is a quietly sinister undercurrent of Necron technology underpinning the techno-sorcery of the Adeptus Mechanicus, and with a quick symbol swap on the torc it was ready to go. Next up is some gold/bronze, but I want to keep the OSL look so I'm planning on trying to just paint gold into the 'shadowed' areas of the torc and faceplate as a sort of reverse-OSL to begin with, and if that looks terrible, then it's paint it all gold and re-apply the blue. We'll see how it goes! You'll have to keep us informed about the RT campaign, too. My local GM is talking about rebooting our stalled DH campaign. @Zab: It's a rather cool model, been enjoying painting it! @Jugger: Not bad for being trapped in an existential nowhere for millennia! @#2501: That would be cool! I'm hoping to do some RT posts in the upcoming few months, the local group hasn't gotten much gaming in recently. Boo! Jamie Fox never looked as good. 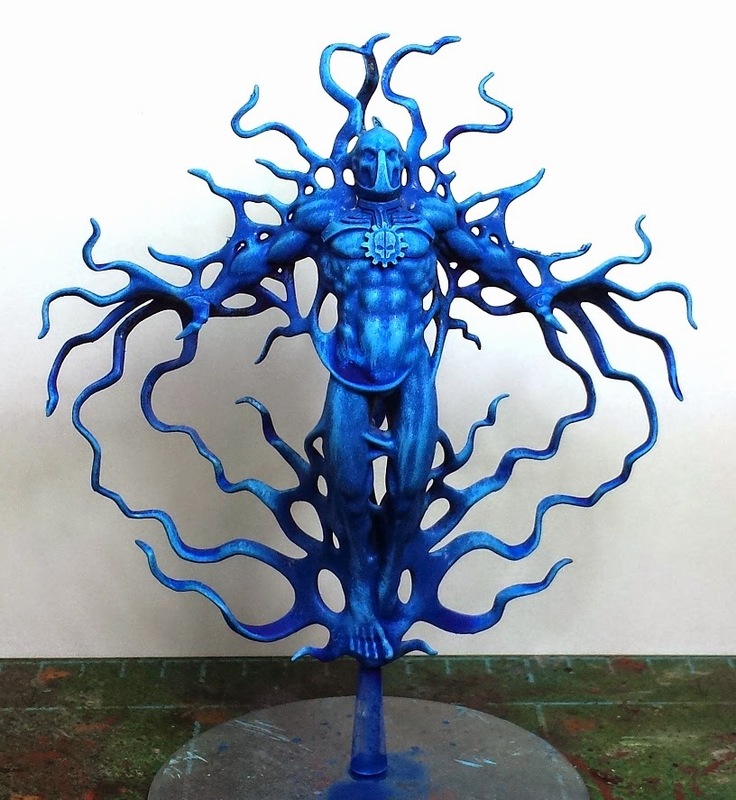 An alternative use for the miniature would be as some form of physical embodiment of a Binaric Saint, which are brought into lore to my knowledge in the novel Knights of the Imperium.